Star Wars was dear to me for a long time, but Lucasfilm tore that from me. Releasing sub-par movies and garbage TV shows along with Hasbro's penchant of giving us a slightly better versions of figures previously released bittered me to the franchise. I called it quits and moved onto other lines. Sure, I was tempted with The Vintage Collection and The Old Republic figures are amazing. I did eventually give in and decide on a small shelf of Jedi and Old Republic figures... and then The Black Series 6 inch line was announced. I immediately wrote off 3 3/4" Star Wars. Luke in X-Wing gear is a classic Star Wars icon. 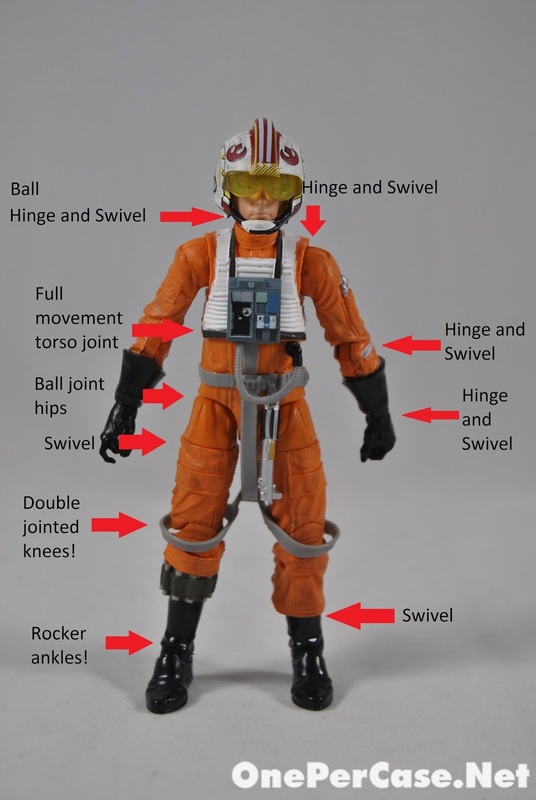 First released in 1978 in the original Kenner line, X-Wing Luke has been sculpted and molded in plastic multiple times. This time in 6 inch scale. Complete with accessories, Luke sets the standard for the Black Series. Great likeness and appropriate gear. Packed with his X-Wing helmet, DL-44 Blastech blaster pistol, and ignited blue lightsaber, Luke is ready to blow up the Death Star! The one feature that I really enjoy is the removable blade on the lightsaber. I love having that hilt on the belt! Such a good look for Luke! The helmet is well painted and comes across sharp while having a worn/dirty coloration to it. Is it a little strange I already want the ESB version of this outfit? With the thicker jump suit, gray gloves, and the weird boot on the other foot... Not to mention a grapple for the AT-AT!!! Skywalker is highly articulated. But the articulation is where I have a complaint. No waist swivel. That's the only thing I can find to be negative about. Everything else made me completely geek out. I could spill more words onto this page, but I would just praise Luke from boots to helmet (although I would have loved a holster, but I'll have to wait for that ESB version for it!). I think you would rather just view some pics. That lightsaber is awesome! Too bad about the waist swivel, sounds like it'd be close to perfect if he had that. How much range of movement do his hips have? Can he sit down? Yes he can. He can sit straight legged at about a 90 degree angle. His legs are are inhibited by the straps, but that just keeps them from spreading to far apart.